I often mention the problems that can be caused when rainfall from our roofs flows directly into storm drains. Even during short rainfalls, a huge volume of water rushing in from streets, parking lots, and other paved areas can contribute to flooding and sewer overflows in waterways such as Rock Creek, the Anacostia and the Potomac Rivers. To help alleviate this problem, the District Department of the Environment and Rock Creek Conservancy are sponsoring The Downspout Initiative: a do-it-yourself rebate program to offer District residents $50, per downspout, for the disconnection and redirection of downspouts which are contributing to this problem. If the downspouts on your home or garage are directly connected to a storm drain pipe, or if the water flow is directed to hard surfaces, they may be contributing to stormwater problems. By disconnecting downspouts and re-directing the rainfall to lawns, into gardens, mulched areas, or trees, District homeowners can help water sink into the ground, nourishing landscapes, and naturally infiltrate back into the earth. The Downspout Initiative website provides step by step instructions for disconnecting your downspout and applying for your $50 rebate. 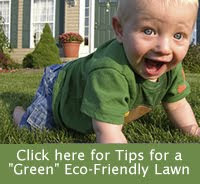 AND, since you have to provide before and after photos of your downspout disconnection and redirection process, keep in mind that the AFTER photo would be a great entry in our Green Gardeners Make a Difference Photo contest, in which we are encouraging home gardeners to share photos of their “green” gardens. For more information about the Green Gardeners Make a Difference photo contest, visit the contest page on Facebook. Children learn the requirements for creating a certified wildlife habitat. See how Green Spring Gardens attracts birds, bees, and butterflies.Learn to use recycled materials to attract birds and receive seeds from butterfly friendly plants. Teachers and other adults welcome.